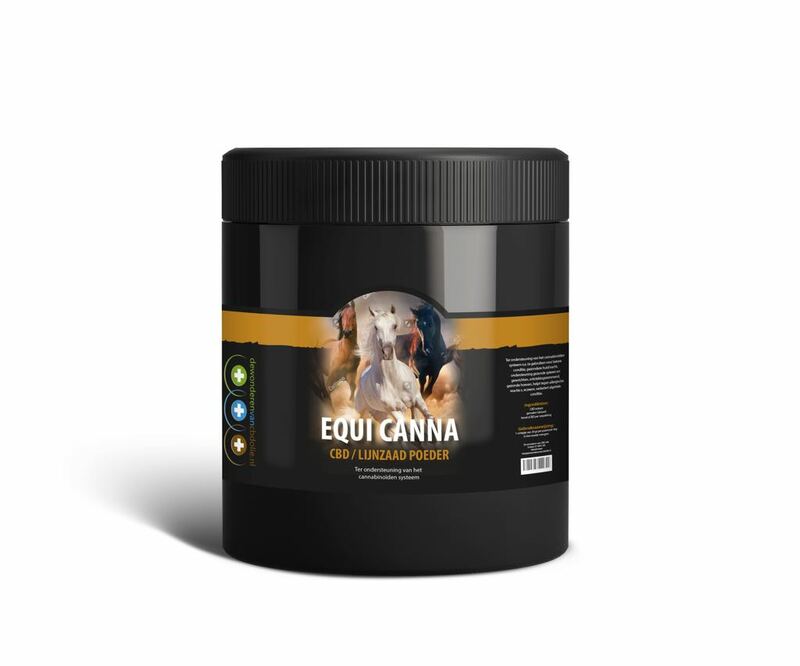 A very special and complete new product for daily use, developed by Equicanna, for daily use that supports and improves the overall health of the horse or pony. A special powder mix of 100% pure natural CBD (cannabis) extract, mixed with linseed powder. CBD (cannabinoids) improves and restores the cannabinoid system that each mammal possesses. Thanks to the use of CBD, which already has thousands of results available to people, horses are soon going to benefit as well. Their overall health will improve, they get a nicer coat, the hooves become healthier, the stomach and intestines work better, the risk of eczema is reduced, the muscles loosen and osteoarthritis is improved.